Establish an assistant secretary of defense for space as the focal point for the transition to a fully independent Secretary of the Space Force. The question of standing up a new armed service for space is not “if,” but “when,” and the “when” is the time all the conditions for creating a separate armed force for space are met. The standup of a combatant command (US Space Command) to focus on warfare in space is appropriate. Rapidly reducing U.S. space capability gaps, while re-establishing US Space Command, is the best way to address advancing threats to space. From an employment perspective effects from air and space have been integrated and are indivisible. The US Air Force may want to reflect this reality so it is better understood by Americans by considering renaming the US Air Force to the US Aerospace Force. The Space Force proposal is a resource question writ large: Too much mission, too few dollars. Standing up a separate space bureaucracy amplifies the problem by driving more money to a headquarters function, not space operations. Congress has constrained space capabilities, not the Air Force, by underfunding the service. Currently there are no space arms which are fundamental to setting up an armed service. Constraints to fully-weaponized space capability must be debated and changed by Congress to allow the Air Force to mature space warfare theory and concepts of operation for war in, from, and through space — these are prerequisites for establishing a new Armed Service. Realistic concepts of operation to hold an enemy at risk from space must be considered and debated before establishing a separate space armed force. 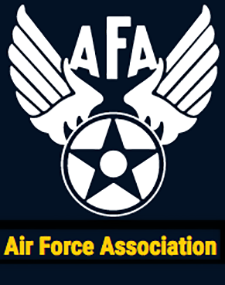 The U.S. Air Force has led the Armed Forces in establishing America’s space capability such that it is unrivaled in the world. Today, to split up the well-integrated set of air and space capabilities that have been organized to seamlessly contribute to America’s military capabilities would result in more harm than good. 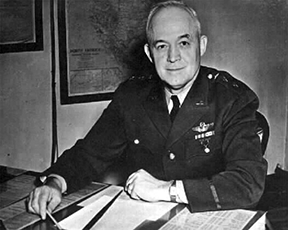 General Hap Arnold — the father of today’s US Air Force — in his 1945 Report to the Secretary of War, suggested the future possibility of delivering projectiles from "true space ships, capable of operating outside the Earth's atmosphere. In the 1950s and 60s, General Arnold's proteges in the Air Force (Spaatz, Norstad, LeMay, Schriever) developed and deployed the Atlas and Titan intercontinental missiles that became the foundation of the U.S. strategic deterrent — as well as America's manned space program. Atlas was the rocket that launched John Glenn and later Mercury astronauts into orbit. Titan launched all of the Gemini astronauts. Before Apollo 7 in October 1968, all but two of America's astronauts had launched into space on Air Force rockets. In the late 1950s, the Air Force pioneered overhead intelligence, surveillance, and reconnaissance (ISR) with the Samos program, America's first reconnaissance satellite launched on a USAF Atlas before there was a National Reconnaissance Office (NRO). In 1958, the U.S. Air Force put America's first communications satellite in orbit (SCORE) with a USAF Atlas. In the early 1960s, the U.S. Air Force took the lead on defense satellite communications. From DSCS to MILSTAR to WGS, the U.S. Air Force has provided launch vehicles, supporting infrastructure and most of the communications satellite bandwidth for DOD and the rest of the national security community. In the 1970s, the Air Force developed and began deployment of the global positioning system before there was a Space Command. As U.S. Air Force Chief of Staff Thomas D. White said in 1958, "Air and space are not two separate media to be divided by a line and to be readily separated into two distinct categories; they are in truth a single, indivisible, field of operations..."